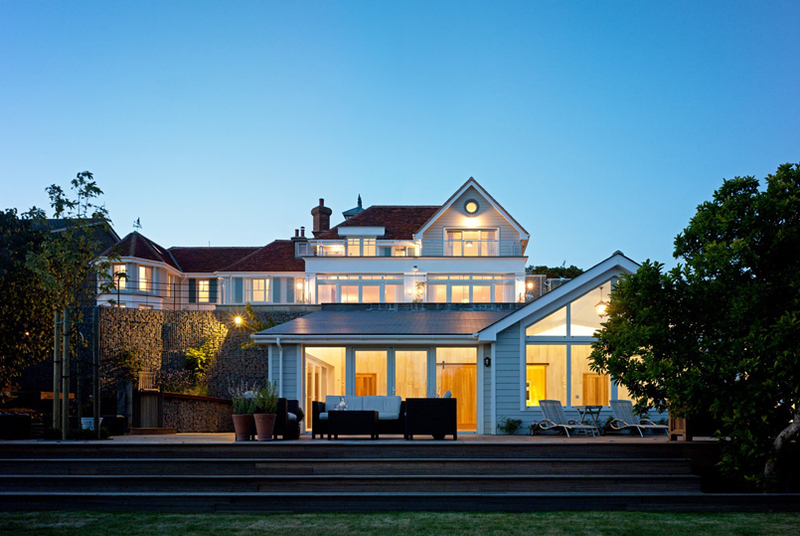 Seafront Private Dwelling – Duncan Clark & Beckett – RIBA Chartered Architects Colchester, Essex. Duncan Clark and Beckett worked post-planning on this ambitious New-England-inspired project in collaboration with Rose Builders. We prepared Building Regulations and constuction detail drawings; visiting site and providing technical support during construction. Gabion walling on one of the site’s many changes of level.